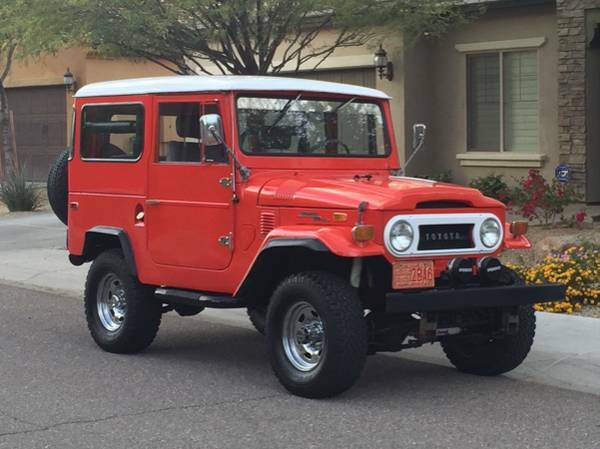 Showing Articles Posted In: "Hardtop"
Toyota Land Cruiser for sale, found this rare variant of the Land Cruiser diesel model being offered for sale by owner located in Florida, as shown here is 1984 Toyota Land Cruiser BJ45 described as excellent condition in and out, reportedly has been restored and has 47000 miles on it. If you're interested please read more below. 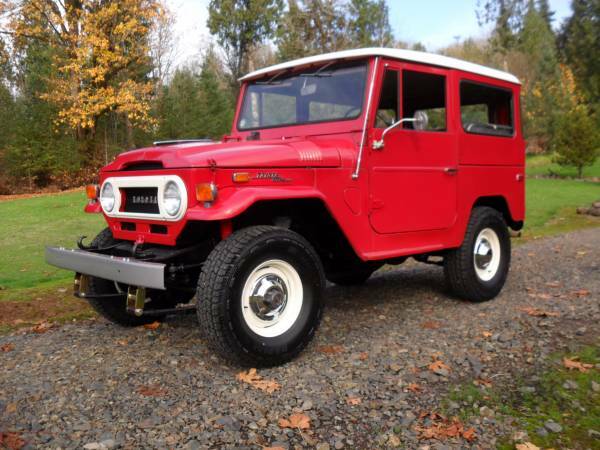 Toyota Land Cruiser for sale, found this cool immaculate restoration FJ40 looking for a new owner, asking $65000 located in Blaine, WA. 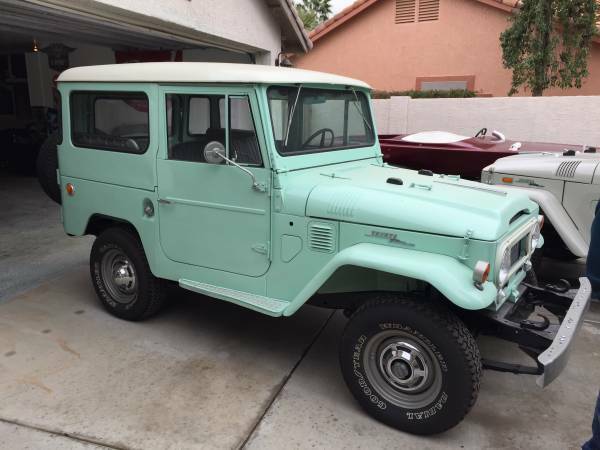 As shown here is original FJ40 built in 1965 has been totally restored fairly nice hardtop come with a rare factory Spring green colour. 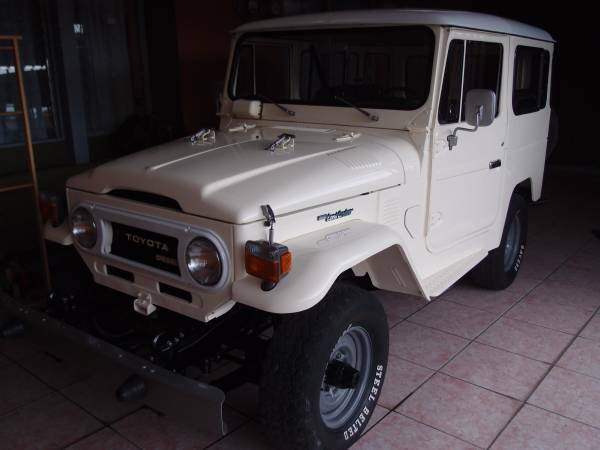 Toyota Land Cruiser for sale, this a tough and unique variant of the Land Cruiser diesel version, imported from Japan is right-hand drive BJ46 built in 1984 in very good condition in and out, reportedly has been restored before delivery. Hard to find imperfection from here, the condition looks greats for its age. 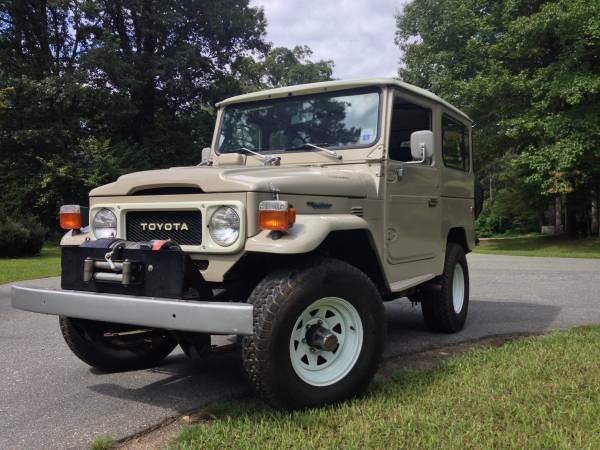 Very rare 4x4 car, only 100k miles on it. 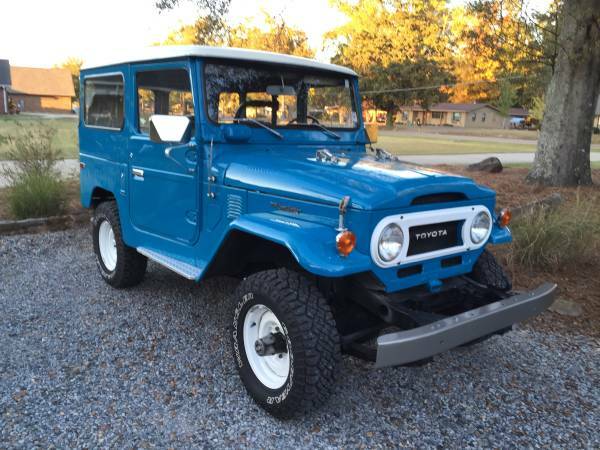 Toyota Land Cruiser for sale, found this cool original FJ40 being offered for sale by owner. 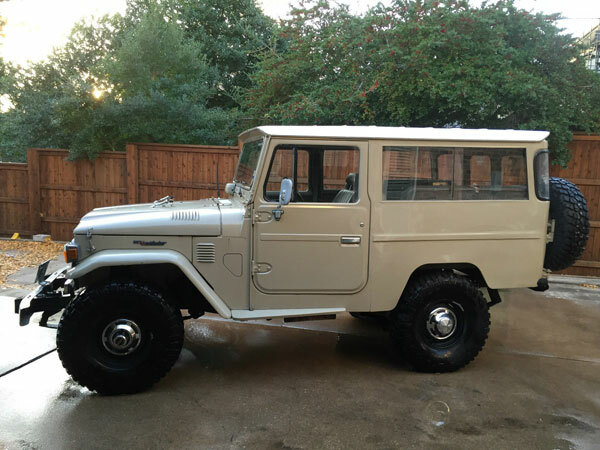 As shown here is 1968 Toyota Land Cruiser FJ40 in excellent condition never been touched by restoration or modification all still retain its original factory trims in and out, no mechanical issue, solid frame rust free could be a perfect for FJ40 enthusiasms. 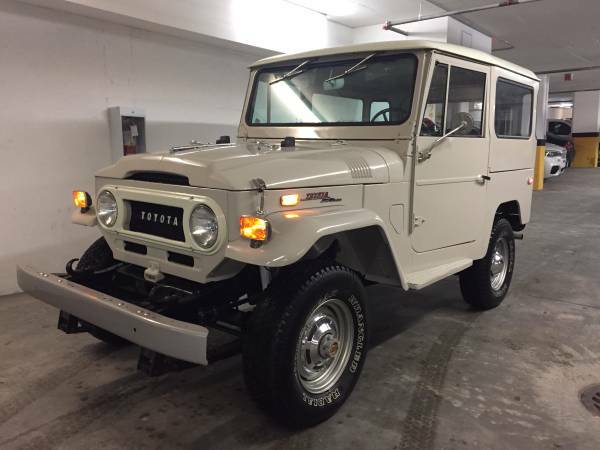 Rare opportunity to own this one, realy hard to find today especially like this condition. 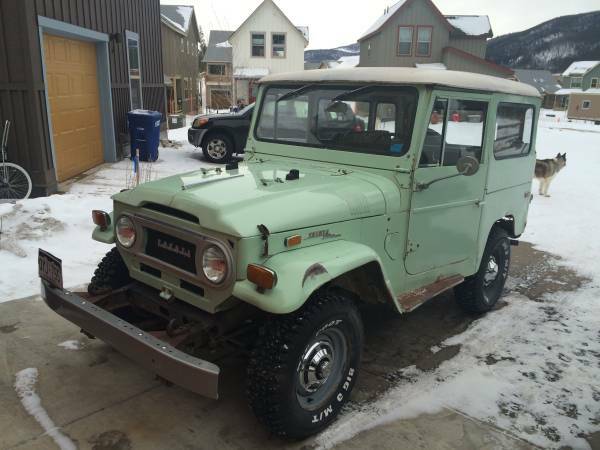 Asking $28500 must see if you interested. 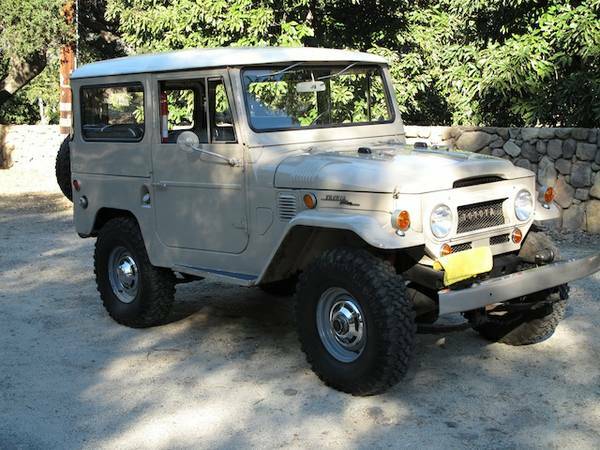 Toyota Land Cruiser for sale, here's a diesel version of the FJ40 known as BJ40 being offered for sale in Wildomar. 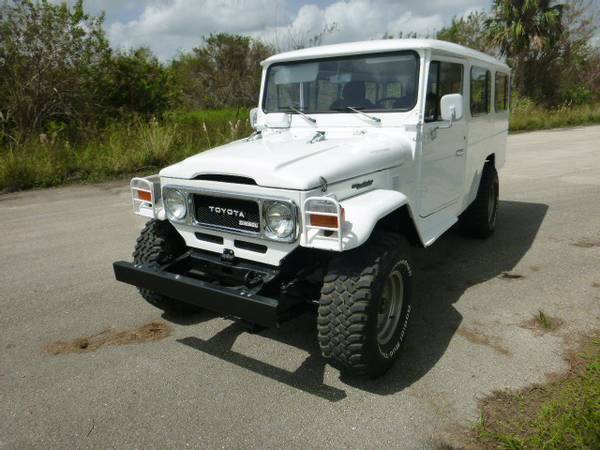 As shown here is 1978 model fairly cool hardtop body VIN: BJ400013091 is said good overall. 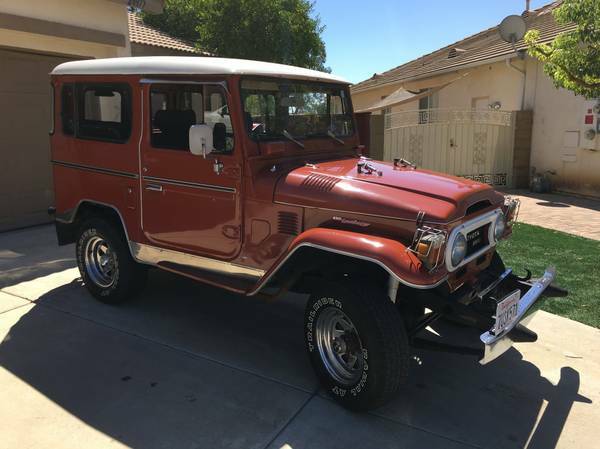 Originally is Central American Land Cruiser imported from Costa Rica now its in California that was looking for a new owner. The condition looks nice for its age with a few sign of use. Not sure about miles shown at odometer, I guess it already rolled into six digits. Must see if you interested. 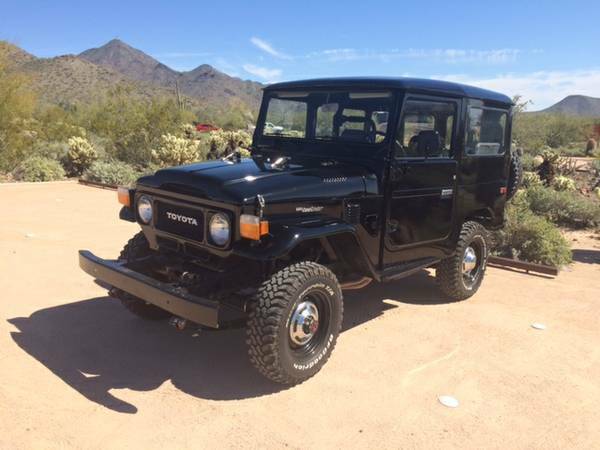 Toyota Land Cruiser for sale, this 1977 Toyota Land Cruiser BJ40 Black for sale in Phoenix, Arizona, is a off-road vehicle powered by diesel engine that was made by Toyota was released in 1977 VIN: BJ40008790 is Europe specs was imported from the Netherlands is said very good condition original motor and drivetrain with well maintained only about 37k original miles on it. 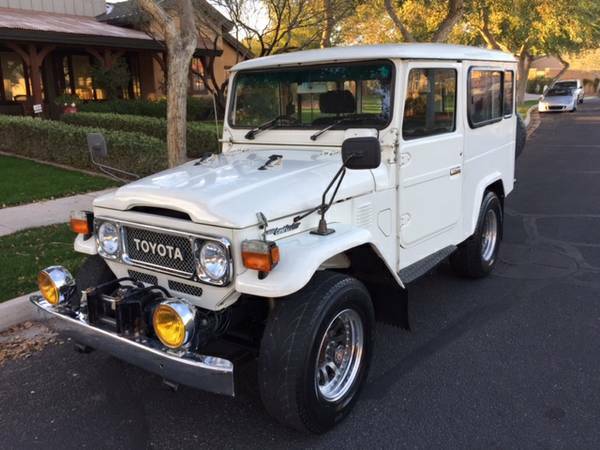 Toyota Land Cruiser for sale, this a short wheelbase coming from the Toyota Land Cruiser families, is a diesel version of the FJ40 commonly known as the BJ40 was released in 1977 like new condition never been restoration all original has only 66K miles on it. 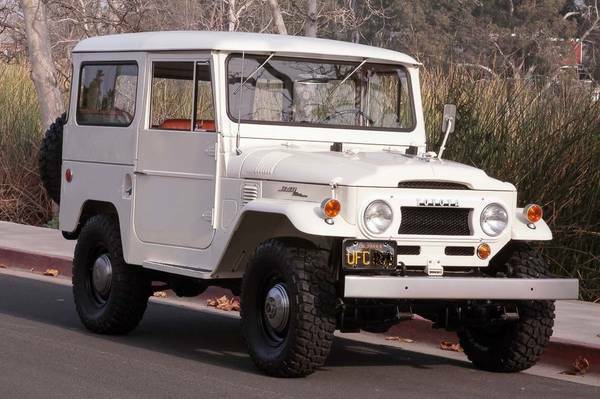 It could be a remarkable sample of the original survivor BJ40. 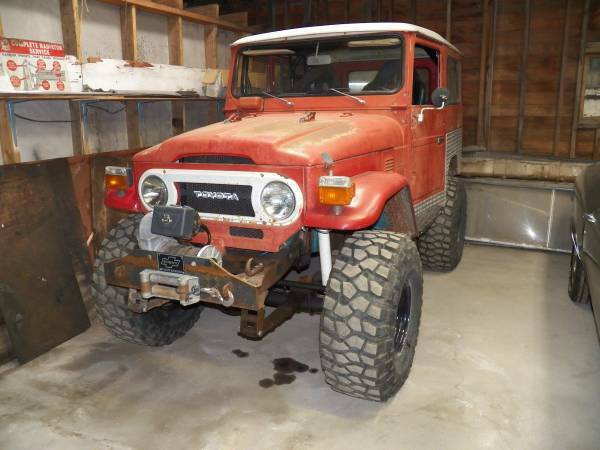 Toyota Land Cruiser for sale, this Toyota Land Cruiser FJ40 built in 1977 has been rebuilt and custom, the engine seems has been swapped with a Chevy, also frame has been restoration / replating, the interior with roll bar was installed for safety and elevating the suspension with large size tires hoping to improve its capability. Claims is everything works good, runs and drives well. 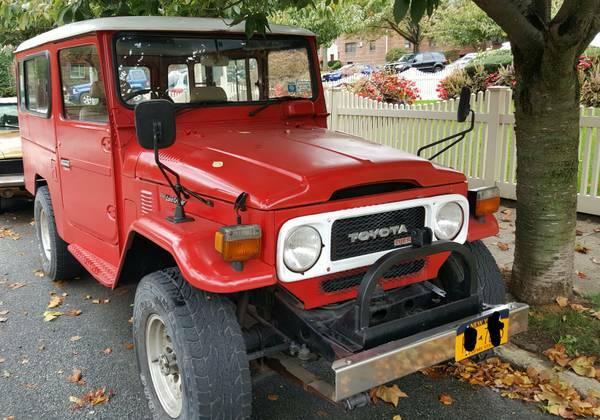 Toyota Land Cruiser for sale, this short wheelbase of the classic Toyota Land Cruiser families commonly known as the FJ40, it very reliable off road vehicles. 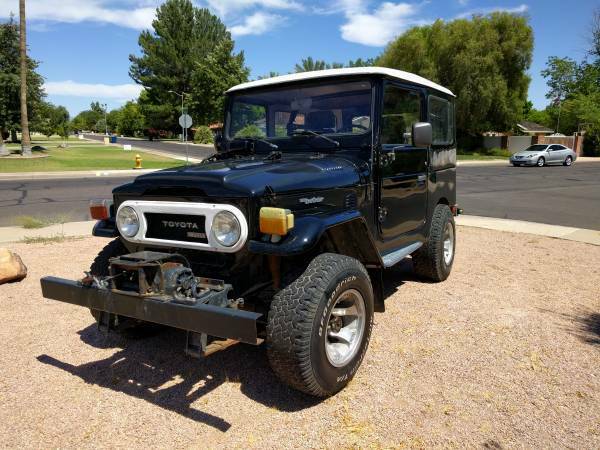 As the picture is a FJ40 built in 1973 still good condition come with a younger 2F engine, interior with a bit minus on front seat the rest is good with custom roll bar, all look clean and neat. Body looks good with perfect shape no dent and some rust, need new paint work if you want perfect like a show car. Transmission, brakes and suspension all works well. 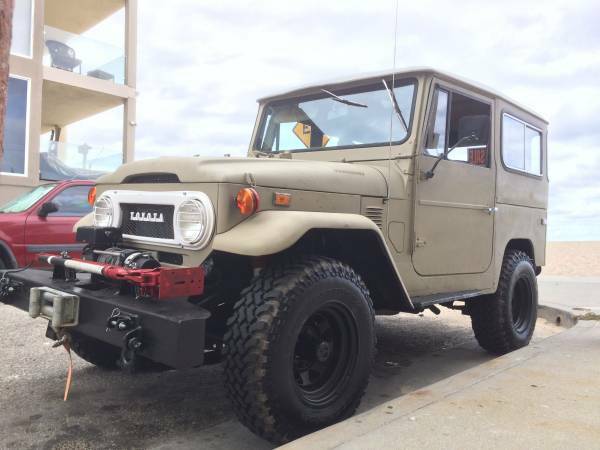 These Jeep is looking for new owner.